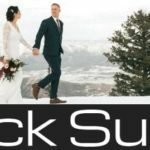 These Utah professionals on SaltLakeBride are ready to help make your Utah wedding gowns and wedding tuxedo dreams a reality. You want to look the best in your wedding gown on your wedding day! I have found my dress maker!! Excellent quality and craftsmanship. Highly recommend! Your wedding is one of the most important days of your life. 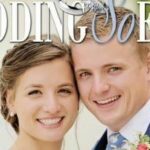 At The Bride Room in Draper, Utah, we believe your wedding dress should be as unique and special as the love being celebrated. This place is a-mazing. New favorite fabric store in Utah for sure. A wonderful resource. The staff makes custom wedding gowns. The same amazing Tissu experience. The same high quality and quirky fabrics and ribbons. This is a dressmaker's delight! As a designer and bridal fabric boutique, our mission at Tissu is to provide all our clients the luxury of participating in the design and creation of the perfect wedding dress. Jack Suits is amazing! You get the perfect suit. The best prices around, and by far the best customer service. I would recommend to ANYONE looking to buy a suit! Modern custom suits to look your best on your wedding day and for the every day Jack! We offer customization options in style, color, fit and more, so you can feel fresh without breaking the bank. 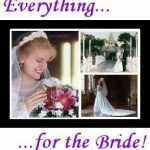 Established in 1992, Treasure’s Bridal is the largest formal, bridal, prom, and tux store in Idaho. We want you to look fabulous. Also Visit our Rexburg store. Very nice he gets tons of compliments! Very impressed with this company and their products. 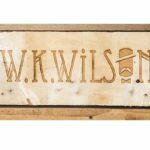 Do you want something unique and wonderful for your wedding? We create limited edition, specialty wooden bow ties - the perfect complement to your wedding! At Margene's Bridal we embrace your wedding ideas and want you to have your perfect dress for your special day. We specialize in flower girl dresses, holiday dresses, toddler and girl dresses, even tuxedos for your little man. We love weddings and we care about the brides that we help. If you want personalized service for your wedding gown, then you have come to the right place. We look forward to helping make your wedding day perfect! MIKAROSE is a clothing company that specializes in modest, elegant and fashionable dresses without having to sacrifice style. We believe the day you choose your wedding gown should be as memorable as the day you wear it! Bespoke Custom Clothing is Utah's favorite custom suit and dress-wear company, specialized in handmade suits, dress shirts, and other custom formal attire. True couture gowns from top designers. At Danis Bridal Works we love the process of helping brides prepare for their special day! We delight in helping each bride move forward in her plan to find her beautiful wedding gown and accessories. We have specialized in bridal gown rental for 30+ years. Renting with us saves you hundreds of dollars while not sacrificing quality on a wedding dress you will only wear once. Since 1976, our family owned and operated Bridal Boutique has been dedicated to creating an unforgettable experience for every bride. You have the Dream, We have the Bridal Gown! Bōda Bridal wants to help you achieve your perfect wedding-day look. Unique, sophisticated style for the modern bride! Find or design your dream dress! Our top quality wedding gowns have modest & custom options. 11582 N. Maple Hollow Ct. Exclusive Designer Gowns at Unbelievable Prices. Bridal Image is Utah's most elegant full-service Bridal Salon, with over 20 years experience for your wedding gown. You don't want to look good on your wedding day-You want to look GREAT!! Since 1955, the Kater Shop has been providing Cache Valley with wedding tuxedo rentals. We have thousands of tuxedos in stock. We Guarantee your wedding dress will last forever! Fantasy Bridal is one-stop shopping for all of your bridal needs. Come see us for great prices and the personal attention you deserve for your prom, dance or wedding gown. Before your wedding, come to Ferreira – European Custom Tailor for a comprehensive custom wedding suit package that you won’t find anywhere else, and a unique tailoring experience you’ll enjoy for a long time. 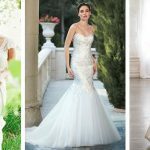 As a designer bridal boutique located in Salt Lake City, we are all about the bride and creating the best wedding dress shopping experience in Utah. The Only Brides Who Don't Choose Allyses for their wedding gowns Don't Know about us! Here at Azure Bridal you will feel at home choosing the right Gown for your special day. Whether that special day is your wedding, your dance or just because, we can help you feel like a princess. Always surpassing the expectations of the most discriminating brides. Where everything bridal and beauty meets. Find your dress and look your best with our show room full of designer gowns and our full service in house salon and makeup counter.